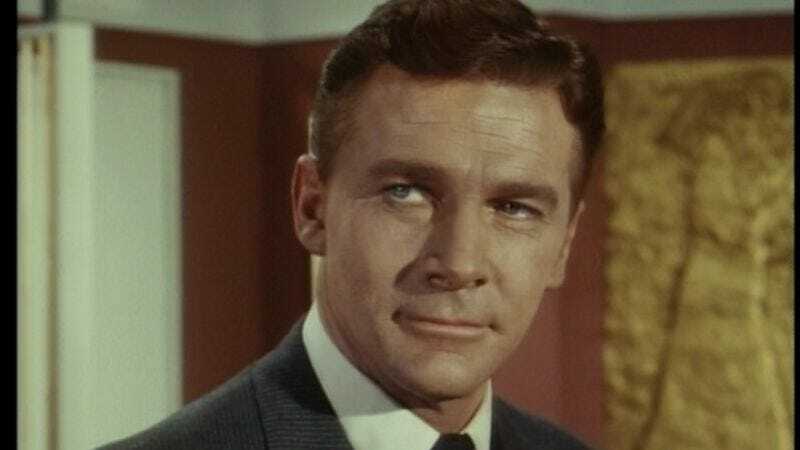 Veteran he-man actor Steve Forrest, probably best remembered for starring in the TV series S.W.A.T., has died at 87. Forrest, who was the younger brother of the actor Dana Andrews, labored in movies for a decade, in tiny, mostly uncredited bit parts (including, among others, the 1943 Val Lewton production The Ghost Ship, Vincente Minnelli’s 1952 Hollywood expose’ The Bad And The Beautiful, and the Minnelli-Fred Astaire musical The Band Wagon) before winning a Golden Globe for Most Promising Male Newcomer for his performance in So Big (1953). Movie stardom failed to materialize, but he worked steadily, on television and in such films as George Cukor’s Heller In Pink Tights (1960), the Elvis Presley Western Flaming Star (1960), and the epic D-Day recreation The Longest Day (1962). In 1966, he had his first regular role on a TV series, starring in 30 episodes of the British espionage thriller The Baron. In 1975, Forrest first appeared as S.W.A.T. team leader Hondo Harrison in an episode of The Rookies that served as a backdoor pilot for the S.W.A.T. series. The series was an immediate hit but was canceled after less than 14 months on the air, possibly in response to complaints about its violence and paramilitary flavor. Forrest later had a recurring role on Dallas and appeared in the movies North Dallas Forty (1979); Mommie Dearest (1981), for which he “won” a Razzie Award for Worst Supporting Actor; John Landis’ Spies Like Us (1985); Amazon Women On The Moon (1987); and Storyville (1992). He was last seen in the final moments of the 2003 S.W.A.T. feature film, in which he appeared endearingly grumpy as the old guy who got to drive the van.